But today is another reminder of why Hammett remains firmly on my list of literary heroes. 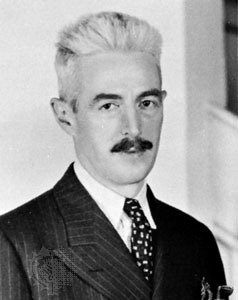 On this day in 1951, Dashiell Hammett was sentenced to contempt of court for refusing to cooperate with the House Un-American Activities Committee. The 57-year-old writer served his time in the West Virginia Federal Penitentiary, where he was assigned the job of cleaning toilets. Years later, according to Lillian Hellman, when questioned about it, Hammett replied, "I don't know why. I guess it has something to do with keeping my word but I don't want to talk about that.... I hate this damn kind of talk, but maybe I better tell you that if it were more than jail, if it were my life, I would give it for what I think democracy is, and I don't let cops or judges tell me what I think democracy is."